A 2019 NEW YEARS PRICE REDUCTION. NOW YOU CAN KEEP THAT RESOLUTION AND BENEFIT BY CREATING A SPIRITUAL AND A MORE SIMPLIFIED LIFE STYLE. 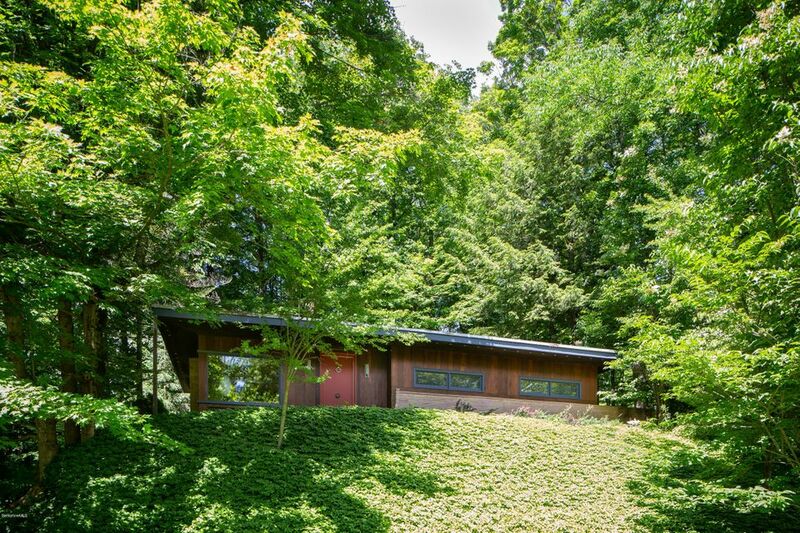 THE NOT SO BIG MID-CENTURY HOUSE IS READY AND SELF SUFFICIENT IN EVERY WAY.THE CLEVER LAYOUT, SURROUNDED BY NATURE, ''234 LEE ROAD'' HARMONIZES THE INDOOR AND OUT DOOR SPACES. ONLY 880 SQUARE FT, ONE STORY, 2 BEDROOMS, 2 BATHS HOME ON 1 LUSH ACRE WITH A KOI POND AND A GARAGE. IN LENOX, MA, THE STEPPING STONE TO THE HEART OF THE BERKSHIRES ''234 LEE ROAD'' SITS HIGH ABOVE ROUTE 20, (there is road noise) CONVENIENTLY LOCATED BETWEEN DOWNTOWN LENOX AND LEE.